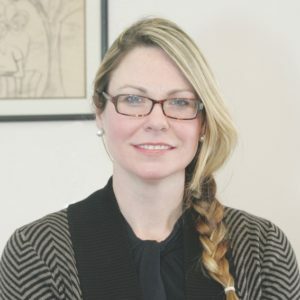 Dr. Meredith Throop is a practicing psychiatrist treating the adult population. She attended Amherst College in Amherst, Massachusetts with a Bachelor of Science in Health Psychology. She continued on to Columbia University in New York, New York to attend a Post-baccalaureate Premedical program. She completed medical school at Saint Louis University, and continued with Saint Louis University Hospital to complete her psychiatric residency. Dr. Throop is currently the Medical Director at Places for People, a Community Mental Health organization in Saint Louis, Missouri. This entails the oversight of all psychiatric services, primary care services, and nursing team throughout the organization. Community mental health serves those with severe and persistent mental illness, within the community setting. She previously worked as a contracted employee with the Department of Corrections, helping those within the prison population who suffer from mental illness. Dr. Throop’s approach is patient-centered, patient-focused. Patient-centered care is a concept that gives primacy to the voice and concerns of the person using the health care service. The goal is to enable and empower patients to better appreciate, and play an active role in their mental health. Dr. Throop aims to take a holistic approach to mental health. She has a particular interest in and experience with concurrent substance use disorders. She is a certified Suboxone provider. Dr. Throop has experience in teaching physicians-in-training as a Bedside Manner and Diagnosis course preceptor, Discussing Death and Dying instructor, Women in Medicine panelist, and Psychiatry Student Liaison. Dr. Throop is not in-network with any insurance, but will provide a receipt to submit to your insurance upon request. To schedule an appointment with Dr. Throop, please call 314-561-9757 and select option 1 for new patients, or email Andrea at Andrea@mindfulstl.com.